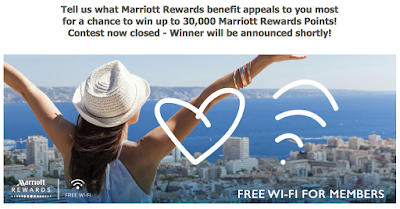 We are excited to announce the winners of our Marriott Rewards Contest "Tell us what Marriott Rewards benefit appeals to you most for a chance to win up to 30,000 Marriott Rewards Points!" Our Winners came from opposite ends of our country, Gang L. from Vancouver won the big prize of 30,000 points and the 15,000 points winner was Sylvie B. from Fredericton! Congratulations to you two! Don't worry if you didn't win as you'll get another chance when our next Marriott contest comes out in mid-August! 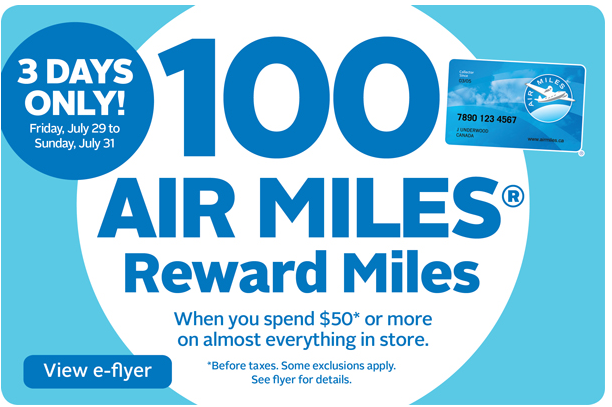 Rexall is offering a pretty decent bonus of 100 AIR MILES when you spend $50 or more in store this weekend. No coupon is required. This will be our last update until August 8th or so! 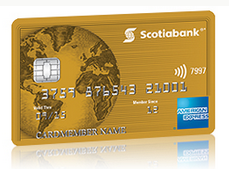 One of my readers, Jeff W. asked me a few months ago whether the Scotiabank Gold American Express comes with American Express' Front of the Line benefit. I knew that when the card launched it did not but double checked with my contacts at Scotia. They confirmed that it did not. Jeff however talked to their customer service reps who stated the card did. I went back to Scotia as was told this was not the case and the rep was mistaken. Definitely some confusion here! Well it looks like the customer service rep was in the know as the Scotiabank website as of this past Wednesday confirms this benefit for their cards. When looking over the Scotia website this benefit is available on all three versions of the Scotia American Express cards. This is great news for those of you who have these cards as Front of the Line and Amex Invites have some great access to concerts and events around the country. Are you excited as a Scotiabank Amex cardholder that this benefit has now been confirmed? 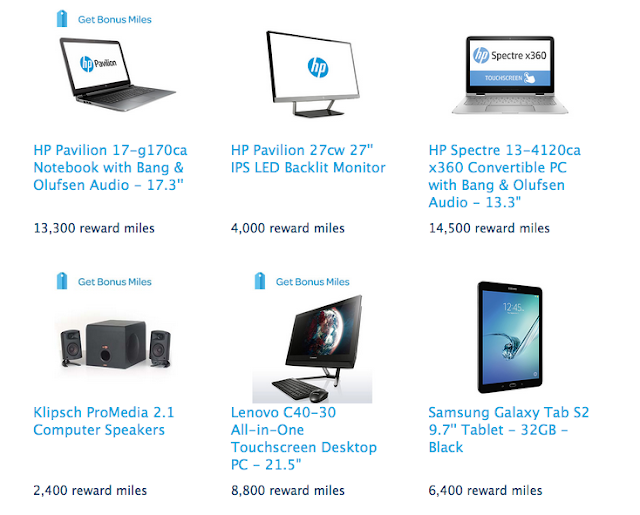 Just a small set of bonus offers for you today! Check out the Fast Track to IHG Rewards Club Gold Status below if you are planning just one Holiday Inn stay in the U.S. before the end of the year. 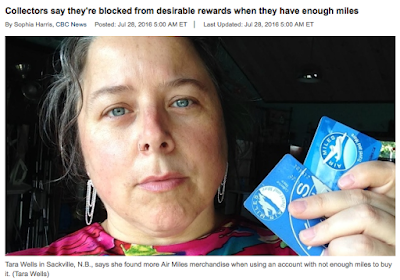 The AIR MILES Expiry topic continues to be a hot topic. CBC covered our post from Tuesday discussing the variation in rewards that are available. You can read the CBC article here. 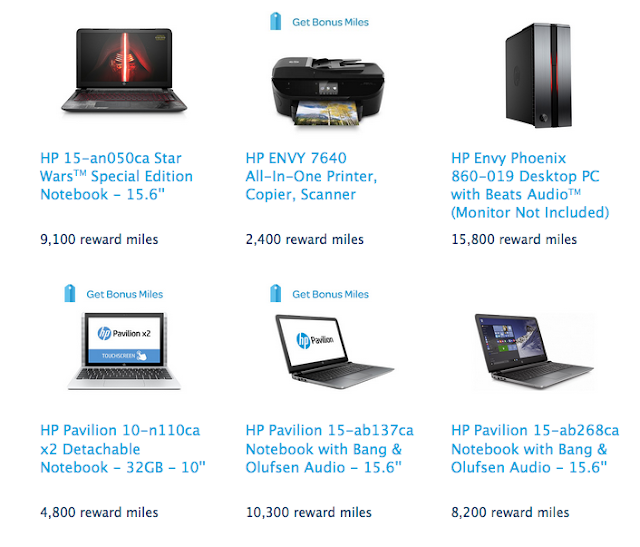 At the end of June the awesome Hilton HHonors status match offer came to an end. The good news is that it is back but the bad news is that they made it a little tougher. Now when you sign up for it you will only get status for 90 days rather than the full year and half or so to March 2018. You can still get the full status to March 2018 but it requires you to complete four Hilton stays within that first 90 days of this offer. So not as good as before but still better than nothing if you missed out previously. Find out more here! New non-stop weekly service between Regina and Orlando, Florida, effective October 27, 2016. New flights from Toronto to a number of Canadian and international destinations including Vancouver, Ottawa, Moncton, Myrtle Beach, Aruba, Kingston (Jamaica), San Jose and Liberia (Costa Rica), Port of Spain and St. Martin. An increase of 41 new weekly flights between Vancouver and Kelowna, Prince George, Toronto, Honolulu, Cancun, Cabo San Lucas and Los Angeles. Kelowna will see 19 new flights per week to Vancouver and two additional weekly flights to Calgary. Service from Halifax will increase with seven additional weekly flights to Sydney, Nova Scotia, and daily flights added this summer scheduled to continue through the winter. Extension of existing seasonal services through the winter, including Vancouver-Montreal, and Toronto to Gander, Nashville, Los Angeles and Brandon. Additional flights from Calgary, Edmonton, Regina, Saskatoon and Winnipeg to domestic and international destinations. As previously announced, non-stop service to London Gatwick from Calgary and Toronto will operate on year-round basis through the winter. - Hilton HHonors Elite Status Match to preferred and elite status levels in other hotel programs. Status will be matched for 90 days and if you complete 4 stays in that time period you will receive the status until March 31, 18 More... Until ? This post is now part of our Guide to AIR MILES expiry. Find that guide here. After collecting 3200 Air Miles over the last 15 years, I finally decide to use them, especially since the recent media coverage regarding their new expiration policy. I spent a couple days going through ever page on the dream merchandise site and finding very little that I would even want. Finally I decided on a coffee grinder for around 1800 points. I checked out and got my notification that the item was ordered and my points dropped the 1400. Going back on the reward site I now noticed a lot more items listed under my 3200 point level. 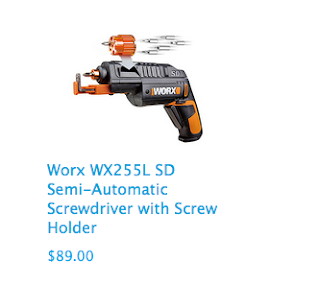 And things that I would really like to have. 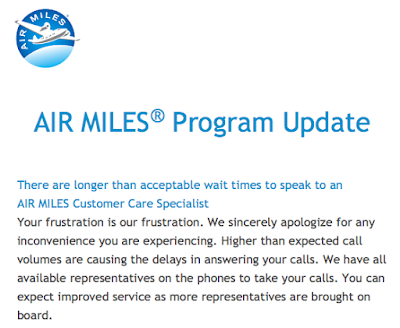 I immediately called Air Miles and was on hold for just under 2 hours. 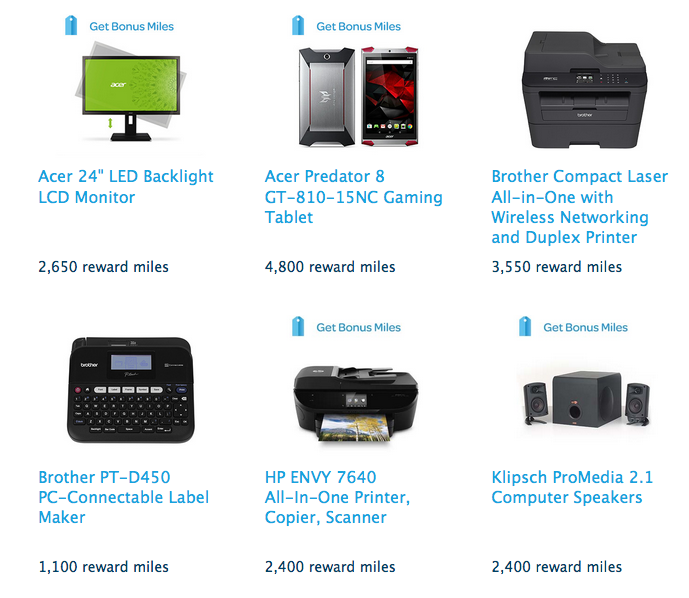 I explained what happened to the agent, and was assured that Air Miles does not hide items based on someones points. 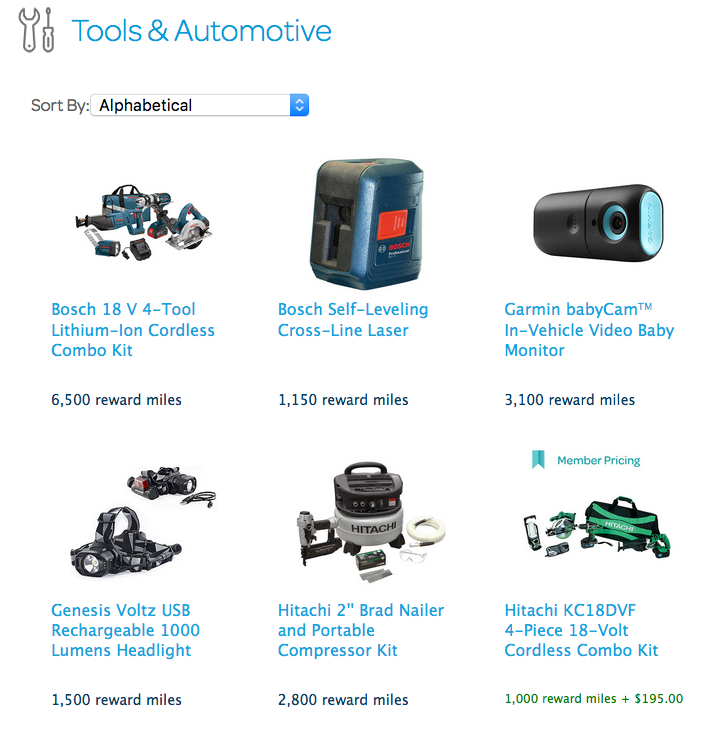 - why do I then have to provide a collector number before the items are visible? She cancelled my order and credited my account back to the 3200. I then went back online and everything I could afford and want, had disappeared. I randomly selected a collector number and found a client with under 1000 points. Wow, no surprise but that member had a lot more selection under 3000 points then I did. Please test and verify for yourself this activity by Air Miles as soon as possible since I'm sure with the recent media coverage, many people are trying to receive what is owned to them for years of collecting. Can it be so? Can the system show potential rewards to collectors as enticement to those who have very little miles and in reality know they won't get to that level while not showing rewards that someone can actually redeem for so they don't and also not show them ones that those collectors are close to being able to logically achieve? We decided to try this ourselves by using our account and also the random account number that our reader provided us. The results are surprising. Also note, the way the AIR MILES website works is that you can input a collector number without a password so you can see the account balance but not do anything else in the account hence the ability to see what awards are available. I don't see the Samsung tablet and many of the other items in my list! No GPS, no Samsung tablet. Nothing. Those did not show up as options for me. Just to let you know, I followed up with AM (AirMiles) again. I called the service center and waited for a call back. After 90 minutes I was contact (sic) by an agent who insisted I just needed to log in correctly. Which I did again and had the exact same results. I then had my 18 year son set up an account and used his as an example and told the agent to escalate my complaint to a supervisor. I was then transfer (sic) but put on hold for 55 min. When I finally got through, this person then tried to tell me that it was based on my account but only for random balancing of inventory by another 3rd party company. I then told her it as a load of crap and that I had documented proof that AM was trying to hide merchandise to prevent members from cashing in their points by limiting their selections. She then asked for the item I wanted and then completed the transactions from the list of items I found through my sons account, as a special exception. Also in that time I did reach out to AIR MILES to discuss this potential issue. They also told me that I should see more rewards if I do a full log in to the system. That is, not only inputting your member number but also your password/PIN. So I did just that, clicked on my account and did the full log in. 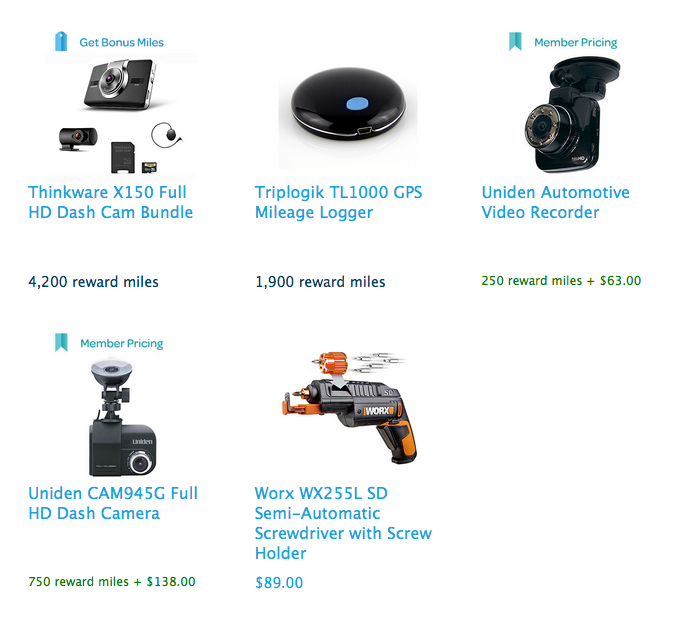 It was at that time that I was able to see many more reward options become available to me. 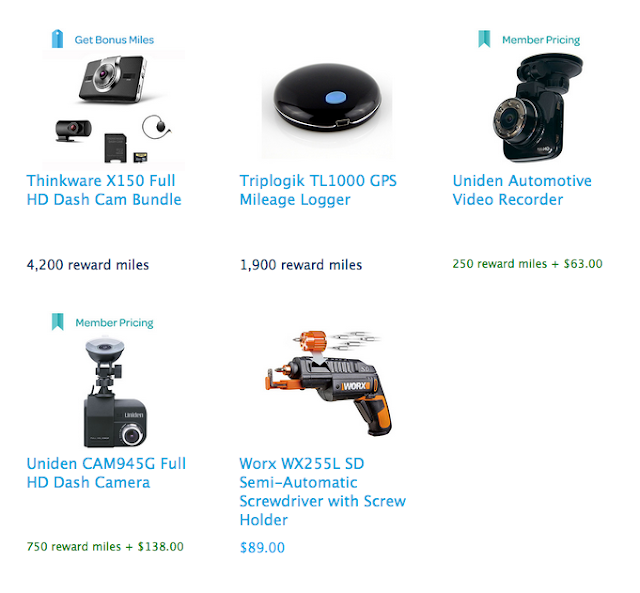 I saw the Samsung tablet, the GPS and more. For me personally, I was unable to now reproduce our reader's situation but that doesn't mean it won't happen to you. AIR MILES explained to me that the reward catalog is in fact dynamic. 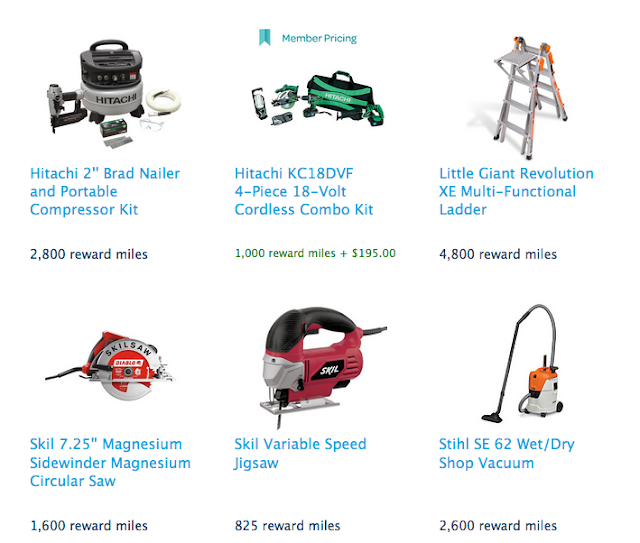 Different members will see different reward options depending on how they use the program. 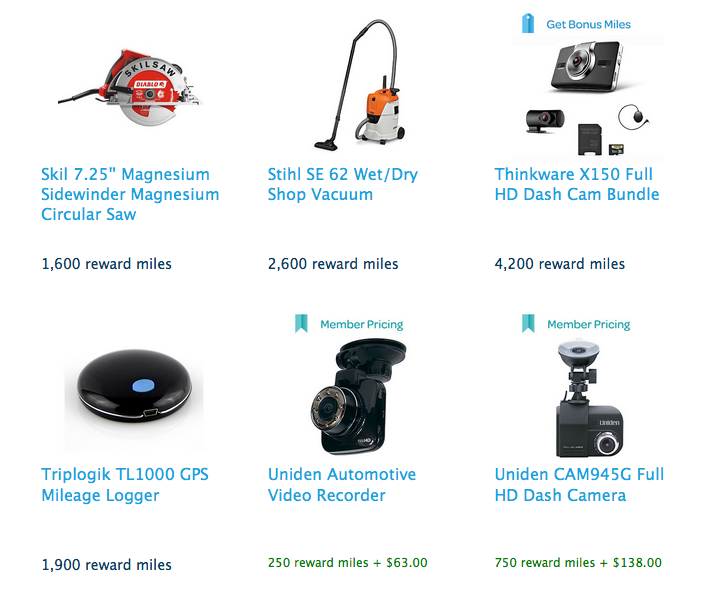 If you are more engaged with the program and earn more miles chances are you'll get more reward options. 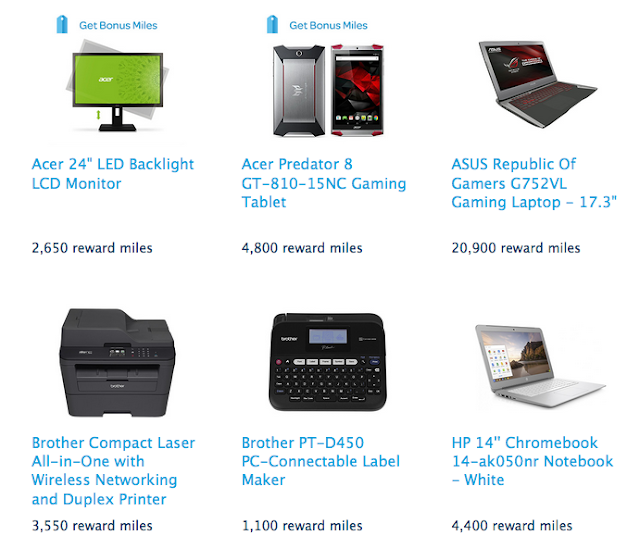 How you navigate the AIR MILES website and also your personal interests will also affect which rewards you see. Is this ideal? I don't believe so. But if that is the case why are accounts with lower balances which perhaps indicates lower engagement seeing more rewards? Doesn't make sense. Everyone in the program should see the same rewards so they know what they can potentially redeem for. I get it if there are 'specials' for people who may be Onyx or Gold members, all programs do that. But in general the main reward catalog should be available to everyone not select members. That also brings me to the question of what rewards show up before you complete a full log in. I know many of our readers and myself as well, use the AIR MILES website by simply inputting our membership number on the homepage without completing a full log in. By inputting that number the system should recognize at least to some extent, the engagement of the member but it does not. 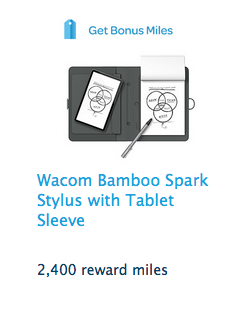 Why show more rewards to someone who has less than 300 miles in their account than someone who has more than 8,000? That's what started this post in the first place. My options were limited before doing a full log in and to many people this may have been their last step. They may believe that there is nothing they want to redeem for when in fact there could be. This is definitely misleading and what I believe to be the major source of the confusion as many of you have written to me about the lack of rewards. There is a simple fix here, AIR MILES should do away with the 'half' log in with your membership number only. Either make the entire reward catalog open to everyone without logging in or have everyone complete the full log in with PIN. Simple as that and the confusion goes away. That's what I used and most members will use thinking they will be fully signed in and see all the rewards available to them. 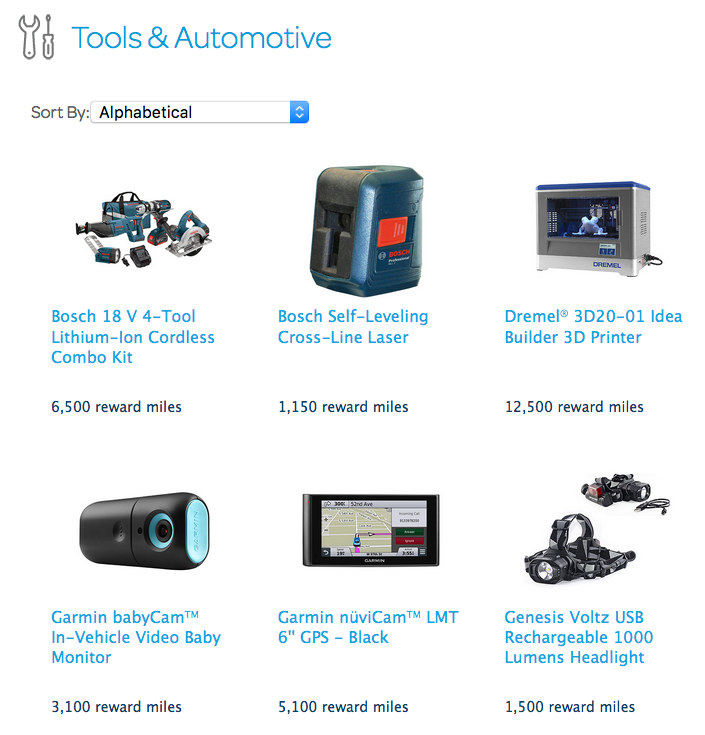 It even clearly states "Sign in below to see the range of rewards available to you" But that's not the case, using that screen above is what I used for this post and I got the short list of rewards. Now I can really see where the confusion lies! Most everyone, including myself would think that the first log in option that comes up when you click on 'dream rewards' means you are logged in fully and you should see the full catalog. Nope, not that easy. Who wrote that?? The company is frustrated? Seriously? I know what they mean, it really should read 'Your frustration is our problem' but no company is going to state they have a problem. But to basically say that they are frustrated? Come on AIR MILES you can do better than that. The latest set of IHG Rewards Club PointBreaks are now bookable for stays from today to October 31st (subject to availability). This time the showing in Canada in slightly better with 6 hotels participating. Still not many hotels considering how many hotels they have n Canada but I guess better than the 4 we saw during the last iteration.